Last year, we learned about a little thing called a fidget spinner. After finding out what they were, we knew this was going to be the latest child obsession. 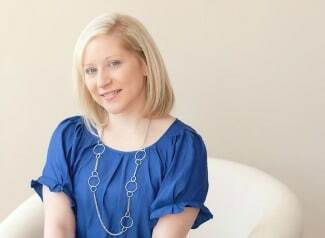 I know because my son has one in every color – even the one with lights! 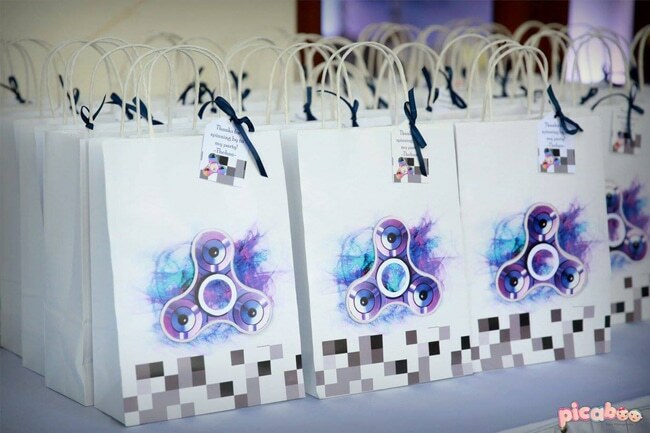 When I saw this Awesome Fidget Spinner Themed Birthday Party from Impressions from Sri Lanka, I knew I had to share it with you all! 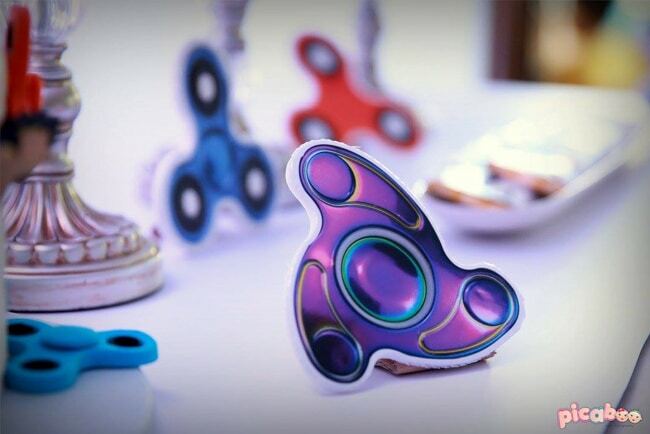 There’s not a lot of inspiration out there for a fidget spinner party, so here’s something to get you started planning! 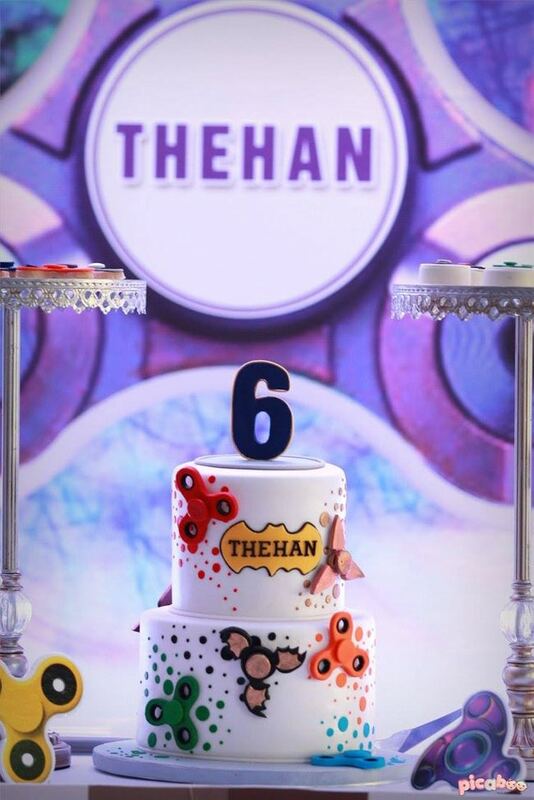 If your child would love this theme, take note of the awesome cake, cookies and other details that make this party truly amazing! Also, be sure to check out what the awesome fidget spinner cake does HERE! 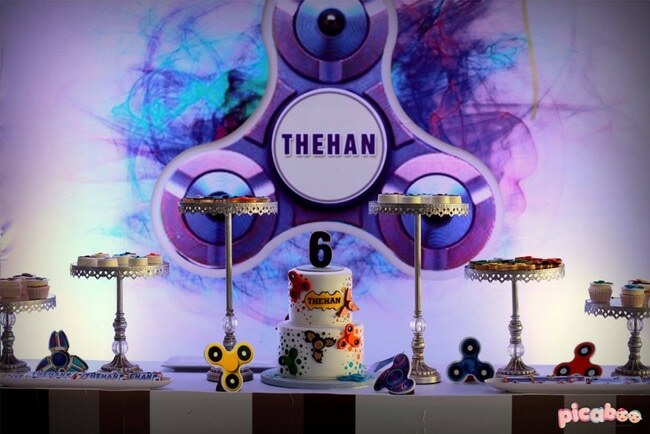 One of our favorite details from this party was the awesome fidget spinner backdrop that was personalized with the birthday boy’s name. The colors and design behind the fidget spinner on the backdrop really make it pop. How amazing is the fidget spinner birthday cake?! 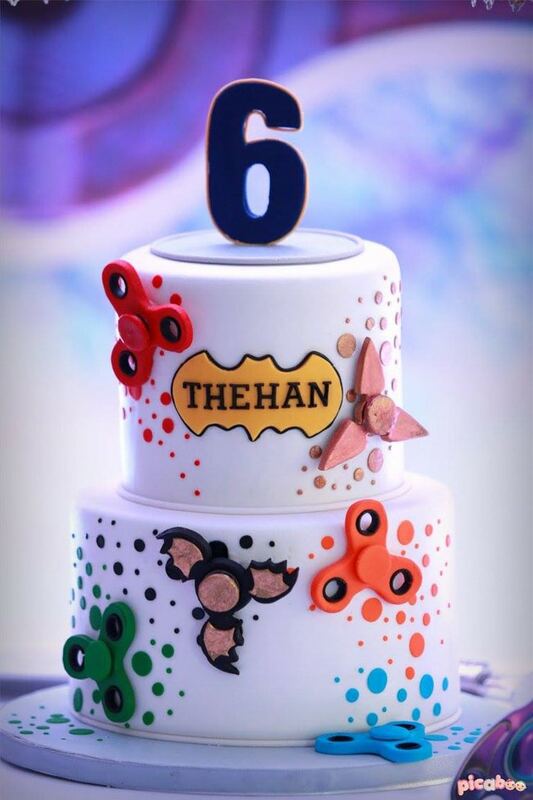 The birthday boy’s name can be seen front and center over a batman-inspired fidget spinner. The fun doesn’t stop there! Fidget spinner-inspired cookies, Oreos and cupcake toppers were a huge hit! 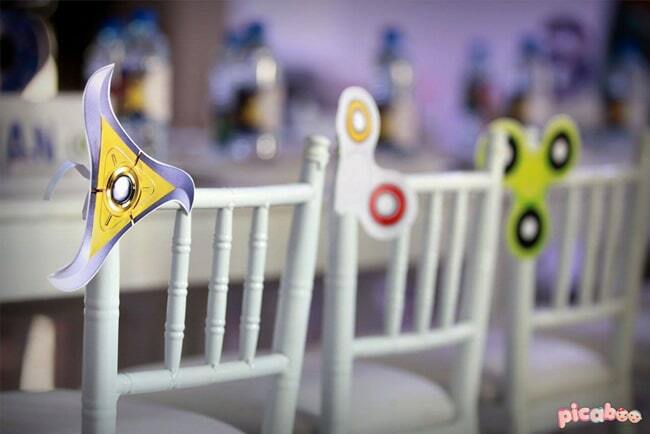 Fidget spinner decor could be seen throughout the party on the chairs, dessert table, chocolate candy bar wrappers, and favor bags! What a great even for a 6-year-old who loves fidget spinners! 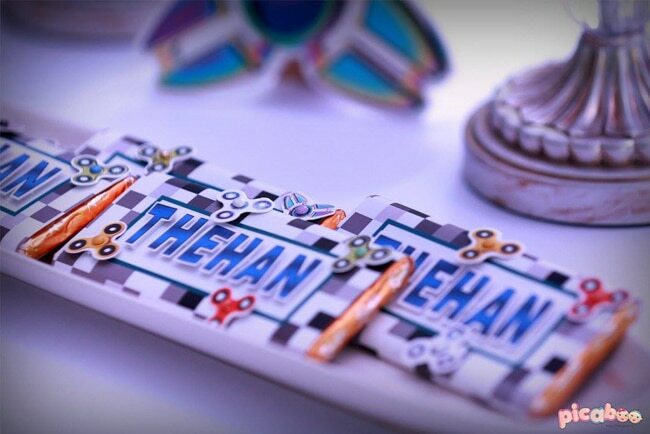 What’s your favorite detail in this Awesome Fidget Spinner Themed Birthday Party?! Let us know in the comments below!